The word “yo-yo” takes on a different meaning once you get past school age. It’s no longer a toy — it’s your nemesis. You’re no stranger to the exasperating weight fluctuations that accompany the yo-yo diet. For some unknown reason, you lose weight only to gain it back … and then some. And yet the human spirit prevails, and most of us keep trying to win the battle against the bulge. If this is true of you, then you should be congratulated! It may seem like your efforts to lose weight aren’t paying off. However, your can-do attitude just needs to be combined with a little education to see the maximum results for your efforts. Did you know that as many as 45 million Americans diet every year? And with good reason. The average American today weighs 15 pounds more than the average American did in 1990. Of course stereotypes are breaking down, and being a curvy woman no longer carries the negative stigma that it once did. However, the sad truth is that weight-related problems, such as diabetes, are also on the rise. In fact, more than 9% of the population has diabetes! So how do you not only lose weight, but get healthy too? You might be surprised to discover that some popular weight loss and health food recommendations are actually contributing to your weight gain! In addition, there are a few things you may unknowingly be doing that are sabotaging your weight loss efforts. We’ve picked out the 10 most common mistakes and compiled them into an easy-to-digest slideshow just for you. Gulping down that “healthy” smoothie every morning? Not so fast! Eating low-fat foods in hopes of melting away the pounds? Think again! How about that mid-afternoon low-fat yogurt? It may be the culprit behind those extra couple of pounds you’ve put on! Get the skinny on these and several other weight loss myths that are preventing you from feeling and looking fantastic! 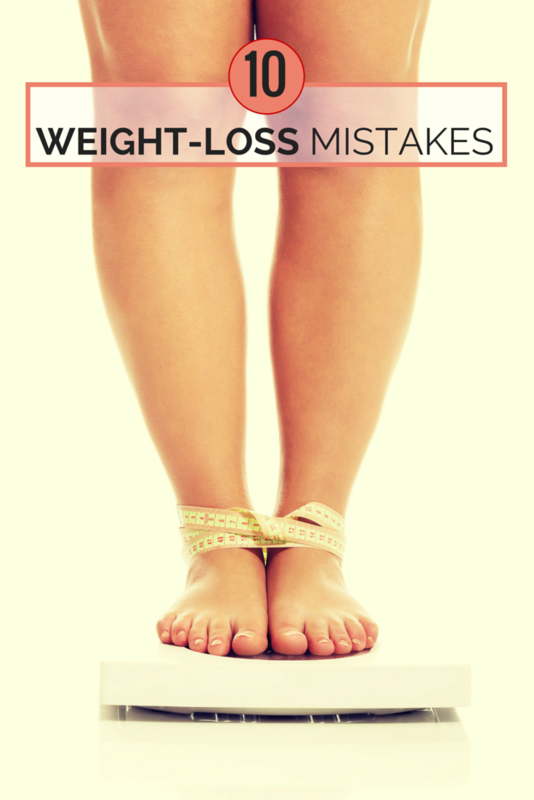 Our 10 Weight Loss Mistakes slideshow is just a click away. Ready to get healthy? P.S. Don’t forget to click all the way to the end for some special tips for those who have been deceived by weight loss myths and just can’t seem to drop those extra pounds!